These living accessories make a great crafting activity for bridal showers, birthday parties or family bonding. Each kit contains all the materials you will need to create your own succulent adorned copper headband. With proper care your living headband will last around 3 months before the clippings will need to be replanted. These adorable living wreaths make the cutest ornaments or magnets and are wonderful personal holiday gifts for teachers, neighbors and friends! A perfect craft to do with the family! 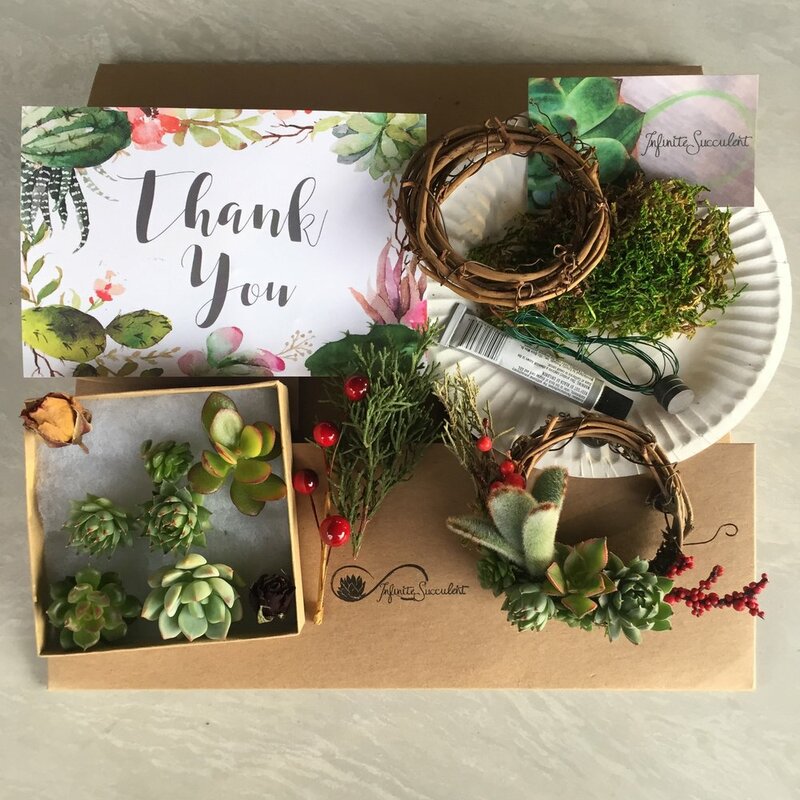 These hanging vignettes of Nature not only make lovely succulent decor for your home or office, but they will bring a smile to anyone who receives them as a handmade gift!